2018 – 2019 Yearbooks are now on sales at Treering.com. 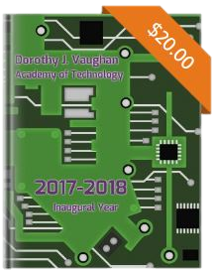 Yearbooks are $20 and include two pages that you can customize in your scholar’s yearbook with personal photos and messages from the school year. Your customization will only be included in your scholar’s yearbook. They will not be seen by other students. Visit the TreeRing website and enter the school passcode 1015078228064194 to purchase. NOTE: Yearbooks purchased before the deadline will be delivered to the school free of charge. We cannot purchase yearbooks on your behalf, they can only be purchased online. Didn’t get your 2017- 2018 Yearbook? There is still time to purchase a standard yearbook without customizations by visiting TreeRing website and enter school passcode 1015078228064194 to purchase. NOTE: Due the purchase being made after the deadline, you will be charged for shipping and the book will be delivered to the address that you provide when placing the order. We cannot purchase yearbooks on your behalf. They can only be purchased online.